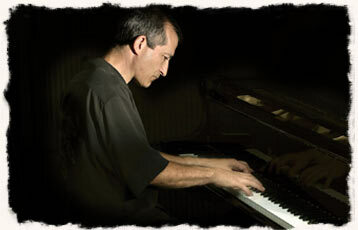 John Nyerges Jazz Quintet — Features John’s original music as found on NBR Jazz recordings. John has lead own group since 1980 and has performed several years at The Rochester International Jazz Festival, The Syracuse Jazz Fest, Time Warner Music Fest, releasing his first CD, Point of View (Listen and purchase at iTunes or CD Baby) in 1991. Jazz, Pictures, & Poems (Listen and purchase at iTunes or CD Baby) was released in June 2008. Rich Thompson Trio/Quartet — led by Rich Thompson, jazz drumming Professor at Eastman and drummer in Trio East (Origin records) with trumpeter Clay Jenkins & bassist Jeff Campbell. Rich has toured and recorded with the Basie Band among many others. NEJO - New Energy Jazz Orchestra — RIT professors Dr. Carl Atkins & Dr. Jon Kruger lead this area all-star big band featuring original compositions by these leaders and some other members. This band recorded its first CD in June 2007, released in April 2008. Jon Kruger wrote a beautiful Bill Evans-ish composition specifically to feature John. There are several other piano solo spots on this recording. It was a rebirth of a big band years ago lead by Carl called Sheer Energy, based out of the Hochstein Music School. Rick Holland/Evan Dobbins LBB (Little Big Band) — John is a charter member since its inception with concerts and a recording entitled In Time’s Shadow found on the blujazz.com label (Chicago). Many great reviews on several jazz CD review websites have remarked about this recording’s arrangements as well as John’s contributions as a soloist. The LBB played at the Rochester International Jazz Fest (RIJF) in June 2007 to packed shows. John was a featured soloist on WXXI “OnStage” TV show, first aired in November 2008. Dave Glasser Quartet — John is part of Dave’s Rochester Rhythm Section that includes drummer Rich Thompson and bassist Jeff Campbell. This group recorded in 2006 (release pending) and this group also performed 2 nights at the Rochester International Jazz Fest (RIJF) in June 2007. Dave is an active performer and native of NYC, was on the cover of JazzEd magazine Jan 2007, and has several CD’s out, most recently on Arbor Records. Dave was a regular with Clark Terry in NYC. John appears on Dave’s newest CD, Evolution, release in March, 2010. Herb Smith — This band’s 1st CD, The Trumpet Shall Sound, was released May 2008. John also performed at RIJF with this group and is on the recording. It contains a mixture of original jazz and funk compositions. Herb also plays in the RPO. Dave Rivello Ensemble — The Dave Rivello Ensemble was formed in 1993 by composer/conductor Dave Rivello as a vehicle for his original work. The 12-piece ensemble and its music encompasses the jazz tradition and modern classical music, creating a unique blend of improvised and notated music. Madeline Forster Band — John performs often with vocalist Madeline Forster, appearing on her Just You, Just Me CD, and having arranged four of its tracks. Rochester Philharmonic Orchestra — John has been the jazz pianist with the Pops concerts since 1994, Jeff Tyzik conducting. John has toured to perform with many other orchestras in Jeff’s Rhythm section and is heard on several RPO CD recordings.